Changes to the process are coming, though they would appear to benefit no one but the administration. On December 3, 2018, a notice of proposed rulemaking was entered into the Federal Register, ostensibly to come down on January 2, 2019, but since the government is shut down, it has remained up and accepting comments as of this writing. In that notice, the administration suggests altering the nature of the lottery so as to allow more applicants with U.S.-earned master’s degrees. Allegedly, this is intended to make the system more “merit-based,” though that criteria is subjective in the extreme. Until such a change is implemented, its effects cannot be accurately assessed, but it does not take a leap of logic to assume that more visas for those with U.S. earned master’s degrees means less for everyone else. Another potential change may never actually come to pass, but the mere whisper of it may be enough to cause problems. The president tweeted, out of the blue, that “changes are soon coming … including a potential path to citizenship.” While the notion of making or changing law by tweet remains merely a phantasm of an irrational mind, the idea of actually offering a potential path to citizenship to H1Bs, should it ever come to pass, could turn the entire program on its head, especially if the volume of applications remains so high. It would essentially have to be rebuilt from the ground up. 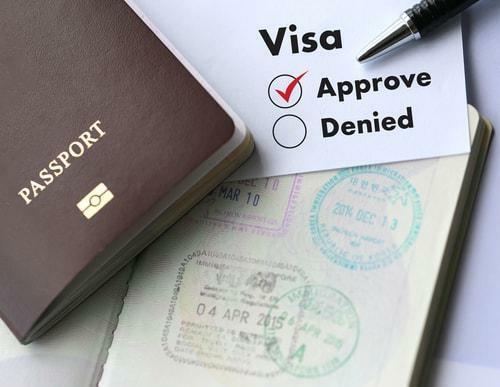 While the H1B visa lottery for 2019 has come and gone, it is never too early to start learning and preparing for the next one. If you have questions around your H1B visa, we can help. The Chicago immigration attorneys at Mevorah Law Offices, LLC are well versed in these types of cases, and we are happy to try and help you with yours. Call our office today at 630-932-9100 for a free consultation.